In a high speed blender or food processor add the tahini paste and fresh lemon juice.Blend for about 1 minute. 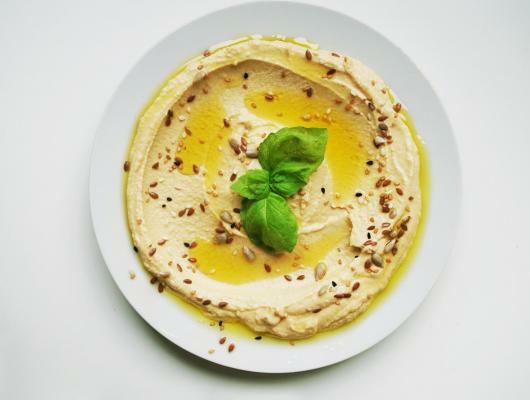 Scrape the sides and bottom of the blender and blend for additional 30 seconds.This extra time helps the tahini to blend well,making the hummus smooth and creamy. Add the extra virgin olive oil,chopped garlic clove,cumin powder and 1/2 teaspoon of Himalayan salt to the blender. Blend for about 30 seconds,scrape the sides and blend again for 30 seconds until the mixture is homogenized. Drain and wash the canned chickpeas.Add the half of it to the blender and blend for 1 minute. Scrape the sides and add the other half of chickpeas.Blend again until the hummus is thick and creamy. If it is too thick,add some water to it and blend everything well again. Add more Himalayan salt to it if needed. Serve with a sprinkle of red pepper powder and drizzle of extra virgin olive oil on the top.Another tasty option for garnishing is to sprinkle some seeds on the top like flax seeds,sunflower seeds,chia seeds and many others. 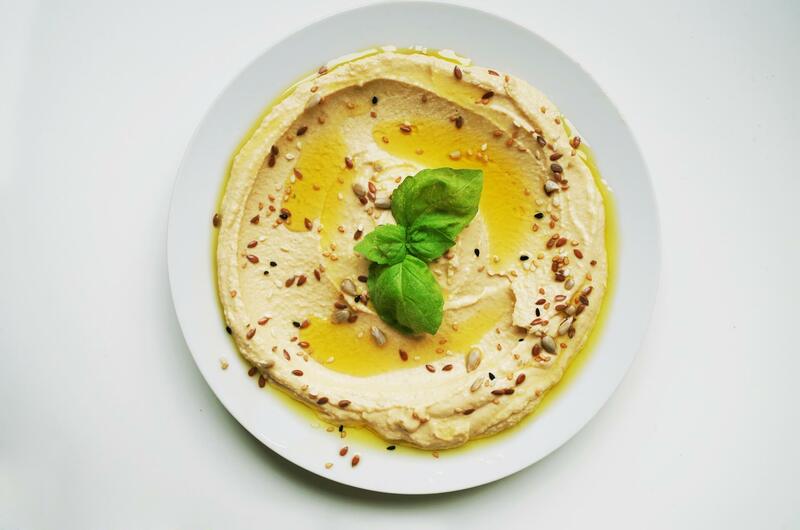 If you want to make homemade hummus,here is a very easy to make recipe.The taste and quality of the homemade hummus are much better than any other you can buy in the store.This recipe is really healthy and delicious.You can enjoy this healthy snack on slice of toasted bread or as a party dip with your friends and family.